Fully IP66 rated water proof (when in closed position). Includes wrench for inside wire connections.
? Stainless Steel #316: increases general corrosion resistance, improves resistance to pitting from chloride ion solutions, and provides increased strength at elevated temperatures. 1. 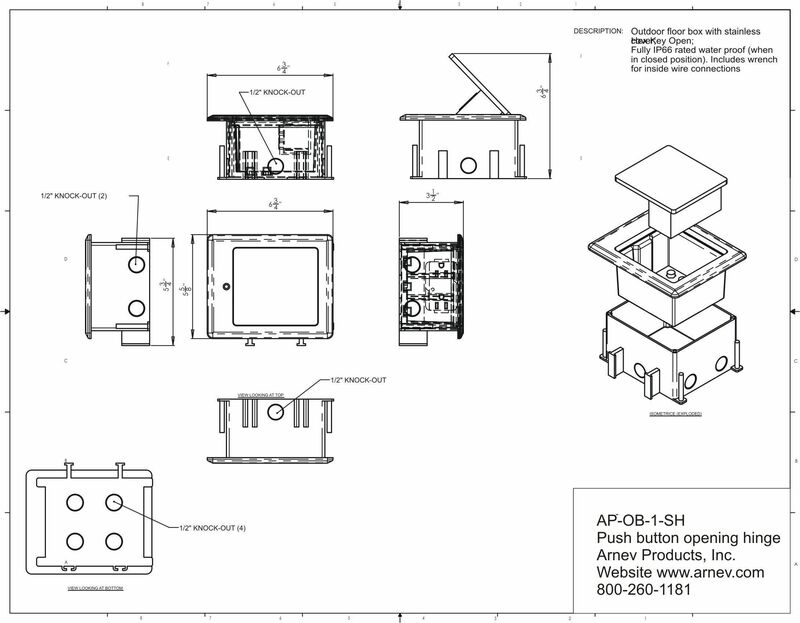 The AP-OB-1 series boxes are designed for concrete, brick patio paver, tile, and similar types of flooring. 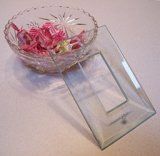 It is designed for outdoor or indoor use. 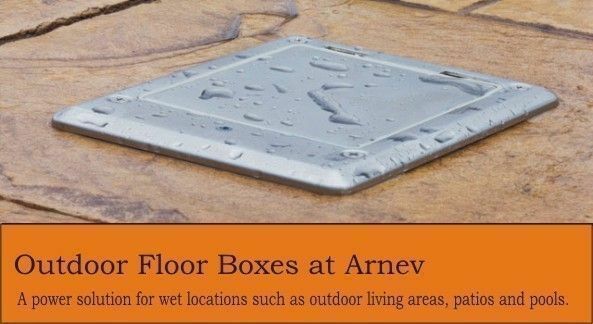 It is not designed for wood floors or decks or similar types of flooring with a depth of 4" or greater. 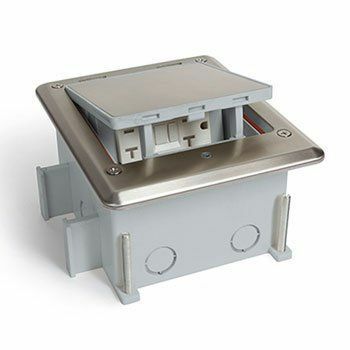 **When used as an outdoor box, the AP-OB-1 must be installed in a concrete pour. This means that even if the installation is going into a brick paver layout, the AP-OB-1 must be installed in concrete. Failure to follow this step will void the IP66 rating and can cause injury or death. 2. Carefully choose the desired location of the outdoor box. Please note that the outdoor box has an IP66 rating when it is closed. The AP-OB-1 series is not designed to be submersed under water. 3. 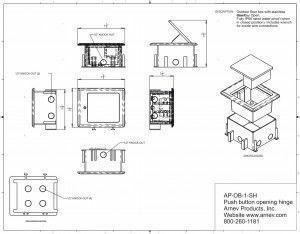 The AP-OB-1 series includes an extension ring that measures 3 1/16". Put PVC glue (not included) on the slotted perimeter of the extension ring and place on the outer box. After the glue has set, apply an additional application of outdoor approved silicone around the perimeter of the seam where the extension ring and the outer box are joined. Finish by wrapping electric tape around the perimeter of the seam where the extension ring and the outer box are joined. 4. Affix the concrete cap on to the extension ring using duct tape (not included). 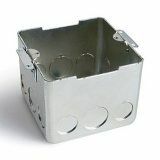 Place the "outer box", extension ring, and concrete cover cap in the desired installation location. The total height is 6 1/8" with the extension ring. If pour is greater than this height, affix the unit to wood blocks/boards to achieve desired height. the overall height of the box and the extension ring must be greater than the height of the finished floor. 5. Affix conduit where necessary by removing the punch out knock out with a screwdriver. Fasten the wires with a water-tight lock nut and gasket (not included). 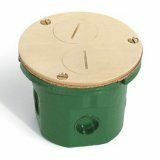 **seal off all unused punch out openings with outdoor approved silicone. Failure to do so will void the IP66 rating and can cause injury or death. 7. After the concrete is poured and set, remove the duct tape and the concrete cover cap and dispose. 8. Cut off the excess portion of the extension ring that is sticking above the level of the finished pour. 9. Please see the wiring diagram for proper wire installation. 10. Once the wiring is completed, attach the "Inner Box" to the "Outer Box" using the four 2 1/2" long screws (provided). 11. Turn the power on. Test the weather resistant tamper proof GFI weekly to assure that the device is working properly. For further info, please call 630-665-2075 x1 for manufacturers customer service………Thank you, .Arnev Products, Inc.